Hello my name is Olivia and I blog over at http://blushingbeauty9.wordpress.com/ so be sure to check it out and give me a cheeky follow! In todays post I am going to be sharing with you my summer holiday beauty wish list. Real Techniques Core Collection - Whether you're go on holiday or staying at home then you should definitely buy yourself a brush collection. Especially if you're on holiday this would be perfect as it comes with the 4 essential brushes and a case to keep them all organised. 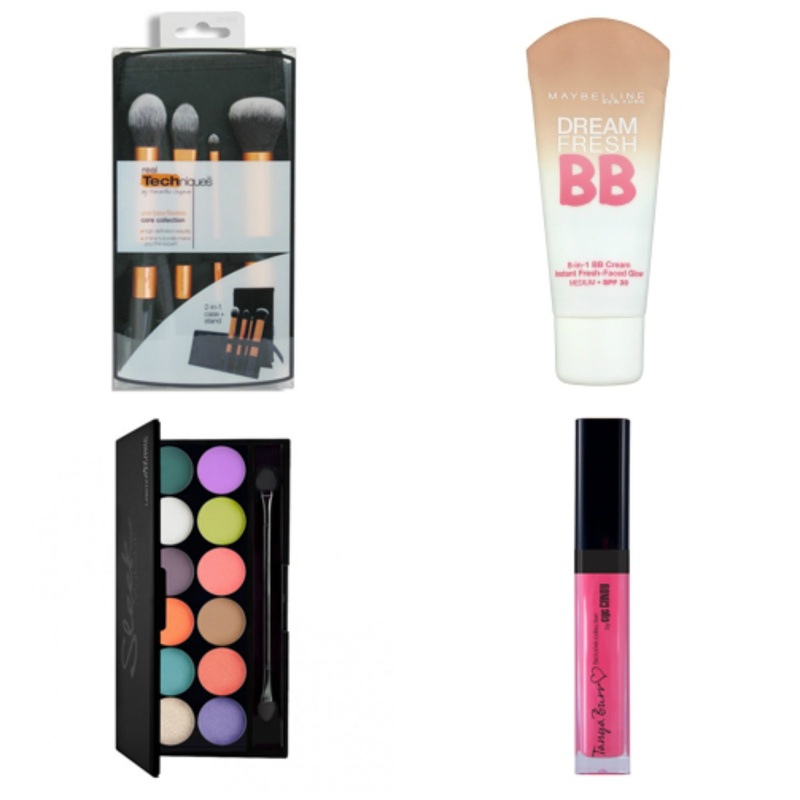 Maybelline BB Cream - The ever going trend of BB cream always seems to come out during the summer time and if you haven't tried it you have to now. It gives you minimal/medium coverage usually with SPF that's something light for your holiday. Sleek I Divine Palette - If you ever want to try a palette this year then this one looks great and like a dupe for the Urban Decay one. You can create some beautiful bright evening looks and it caters for everyone! Tanya Burr Picnic In The Park - For your lips I would say this is the perfect bright pink colour. With Tanya Burrs new release of makeup everyone seems to want a piece of it including me! I also love all her other shades too.